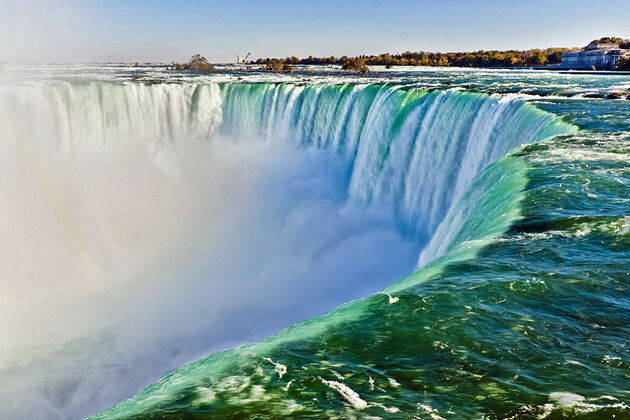 The Niagara Glen is a geologist’s paradise and Cupid’s playground! 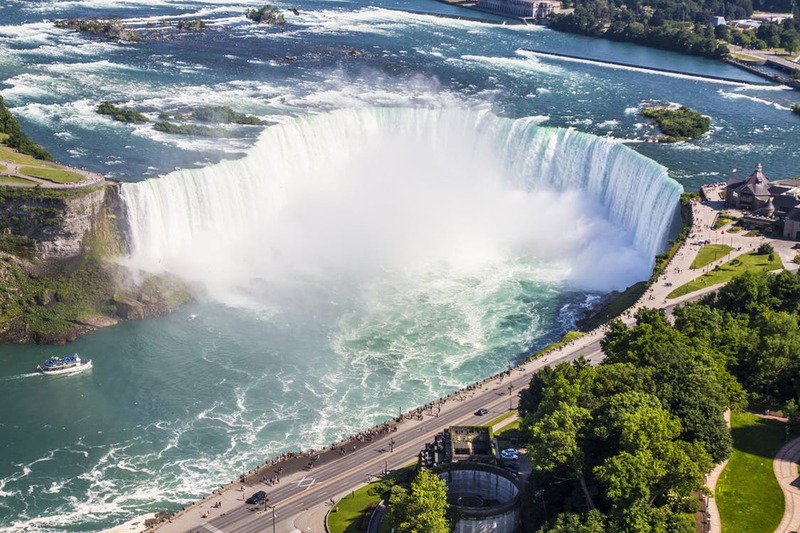 This mass of shattered gigantic boulders is incorrectly called a glen because it occurs on the Canadian side of the river only. The true glen should encompass both sides of a stream. 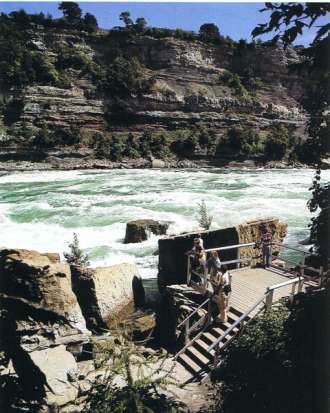 The people on the American side of Niagara river, perhaps realizing this, have traced out the paths for a nature trail and picnic area among the piled rocks on their steep side. Their venture was successful. From its vantage point you can spot nearly anyone in the Glen if there are not too many leaves on the trees. 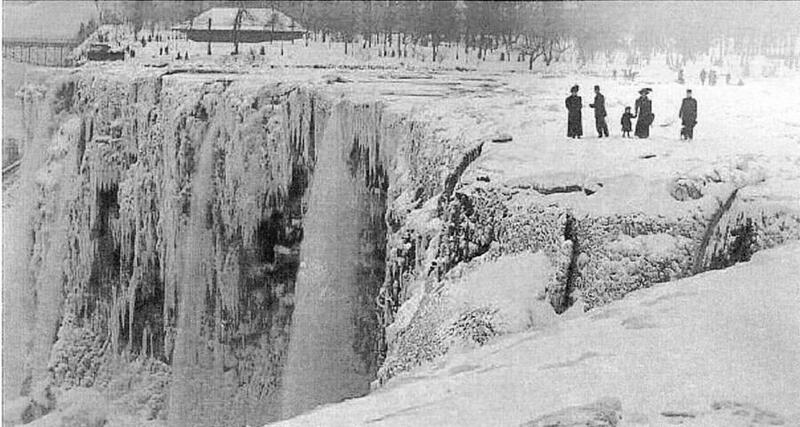 And from these cramped picnic grounds you may more clearly see the three main rock ledges which used to break the now spectacular drop of Niagara Falls into three falls. The mighty rock layer on which this stands is of gray, fine-textured limestone formed over 400 million years ago by the chemical reaction of minute animal-bodies with the calcium in the warm waters of an ancient ocean. This great sea, which we know was salty because the same type of microscopic bodies are at work in the salty waters of the earth today, once covered most of our continent except the Rocky and Appalachian mountains. It was but the successor, different in form, extent and perhaps in temperature, of many seas which had covered the same regions millions of years before the approximate date mentioned above. It was in turn replaced slowly by seas which covered this district much nearer our own time. Each ocean had deposited at its bottom, layers of mud, sand, and tiny bits of worn-out coral and powdered shells. These in time, under pressure of the great depths of waters, hardened into rock layers of various qualities. Here where so many tourists and natives gaze and walk are several of these ancient, solidified ocean beds. 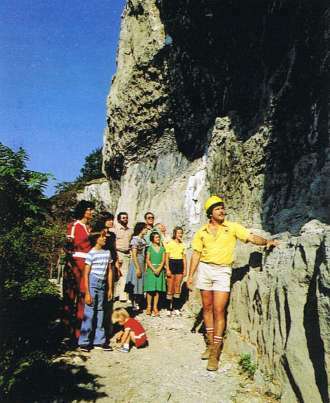 Rock climbers are often seen dangling precariously by ropes and pitons from the cliff face. 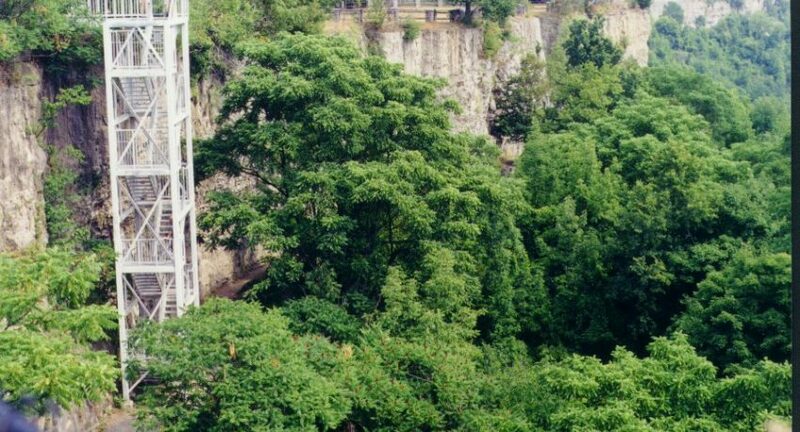 The trails lead down into the gorge, revealing the geologic strata that were laid down over four hundred million years ago. Although steep in places, the trails are well-marked and easily negotiated. The paths, which thread over, under, and mound huge boulders that have been carved from the cliff face and were smoothed when Niage’a Falls was here approximately eight thousand years ago, pass by various natural features including the mammoth pothole, the leaning rock, and the Devil’s arch. The forest is primarily deciduous with maples, Staghorn sumacs, sassafras, tulip trees, and even some red mulberry trees. The ground cover is varied and includes poison ivy, so take care. This is one of our favourite walks because it is seldom crowded, and the scenery, with its tangle of giant boulders, has a surrealistic beauty. Fishing has long been a favourite pastime at the Glen, and fishermen cm often be seen casting their lines from the many rocks that are strewn along the shore. A word of caution: do not clamber onto these rocks as the water level can change suddenly and leave you stranded. 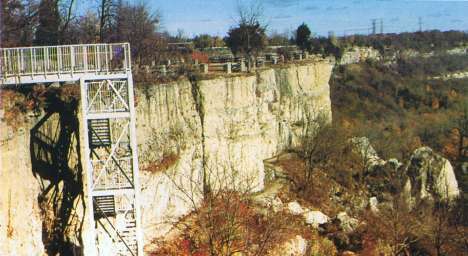 It is easy to spend an entire day at the Glen as it offers an excellent place to picnic and observe the geology and natural history of the Niagara gorge. From late June to Labour Day, a park naturalist conducts free guided walks through the Glen. Contact the Parks Commission for times and topics to be covered. Sturdy hiking shoes are recommended.